Summer is somewhat rested, but you can use it normally. There is no such thing as the tape will cut vertically. This review is about item#5812511. In my application, I could stick firmly and firmly. When peeling off it was able to peel cleanly. This review is about item#8555303. I think that it is more powerful than a general cloth tape. I use it except for curing. I would like to select the strength of adhesion according to the application. I think that it is good if you do not use it when walking. This review is about item#87105094. There are also cheaper ones, but the adhesive strength is not too strong, it is not too weak, and the adhesive does not remain, it is a very good product. It is my first purchase, but I tried to use it normally. I think that it is a good product. I have always loved this tape since I found this item. It is strong in water, resistant to heat, and it does not get sticky after peeling even if it sticks for a while. We tried various cloth tapes in past 20 or more mail-order and mass retailers, but there was absolutely no superiority to the overall evaluation of this tape. I look forward to working with you. This review is about item#05812511. 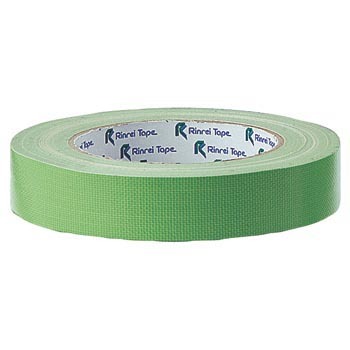 I always use the same tape, but I can be satisfied with the price can be purchased cheaply. Recently I can hardly purchase separately, the number of DIY which is a box seller like construction contractor has increased. This product is very sticky and very handy. Somewhat satisfied. I am happy if you can make it a little cheaper with mass purchase. Used during curing. When curing an antistatic sheet, if you use general curing tape (PIOLAN etc. ), is it compatible or bad? ... After a while it will not peel off as much as the vinyl breaks. It is easy to paste (things that can be cut easily with hands) We tried and errored what we were easy to peel off and reached this tape. Since it is a gum tape, if pasted for a long time, glue may remain on the other side, and the satisfaction degree of use is made ☆ -1. Other than that, I am satisfied with no problem. This review is about item#08555303. It is cheap and good. Although there are small complaints, it can be used so much. I have tried nearly 100 other types of gum tape, but this product was the most product, it was strong against heat and water, and it was a product that it is hard to remain sticky. Currently it is handy enough to only use this item. It is very convenient to use until the end! Handy · Adhesiveness to the base is well handled well in the field work. It is a good product with attractive price. It is easy to use. The price is reasonable. I do not know because I do not use it much yet, but I think that it looks good for the price.